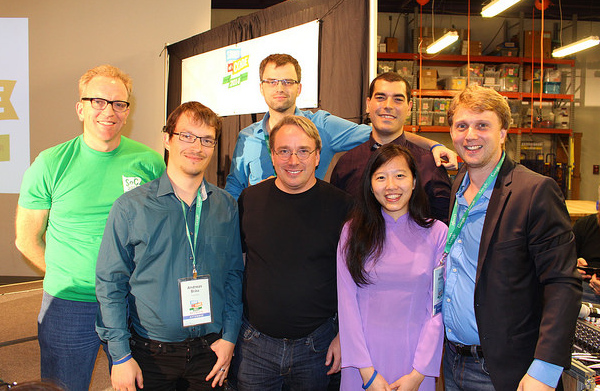 I have to choose the best memory of the Google Summer of Code Reunion 2014 I will surely choose this photo of me with Linus Torvalds (father of the Linux Operating System), Dirk Hohndel (‎Chief Linux and Open Source Technologist at Intel at the time of writing), my Freifunk friends and the FOSS Asia Team. Simply epic. I have to thank Google, Freifunk and Ninux for this wonderful opportunity.